The Facilities Projects Support Program provides review, consultation and testing for construction projects impacting facilities occupied by UW personnel or students. EH&S participates by providing plan review during the design phase, consultation and submittal review during design and construction and testing of select systems near the end of construction. The level of EH&S participation depends on the scope of the project and the opportunities and needs of the project management team for owned and leased facilities. EH&S collaborates with UW Capital Planning and Development and their consultants, UW Facilities, and others involved in capital development and minor alterations. Any project with potential to impact the safety of UW occupants or maintenance personnel should include EH&S as part of the project team. EH&S develops and maintains a number of design guides and standards to help assure that health and safety requirements are met. 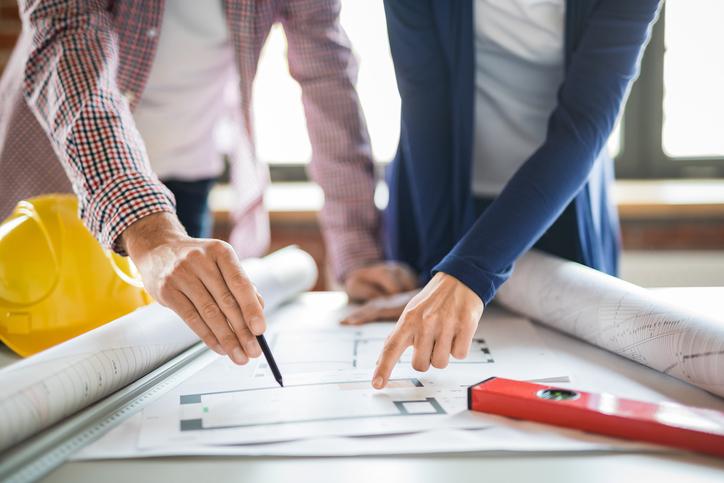 The EH&S staff assigned to a project usually consists of one or more core reviewers and additional staff depending on the scope of the project. A complete list of review staff and their areas of expertise is available on the Facilities Project Support EH&S Staff Roles reference. Where can I find a list of EH&S design criteria for facilities? A list of design criteria including design guides and specification sections is located in the design standards section above. Where can I find a list of EH&S staff who support Facility Projects? A complete list of review staff and their areas of expertise is listed in Facilities Project Support Staff reference. Does this apply to a leased facility? Leased facilities are constructed or remodeled through a similar processes but the project is not managed by the UW.